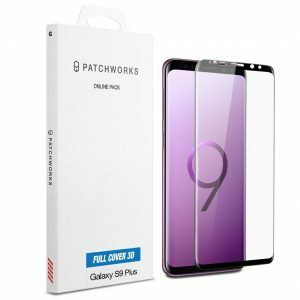 We’ve reviewed cases and screen protectors from Patchworks before. 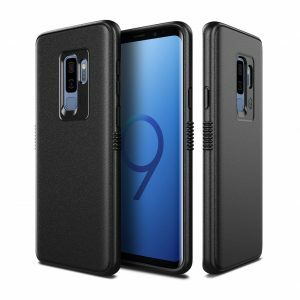 This time we’ll be reviewing cases and screens made for the Samsung Galaxy S9 Plus. The glass screen protector is the ITG Full Cover. The cases are from the Level ITG series and the Monogrip. First off, we’ll cover the glass screen protector. This protector has beveled edges that wrap around the screen nicely to fit the curved sides of the S9 Plus. Patchworks uses a unique heat bending technique to bend the edges- as opposed to other glass screen protectors that shave the glass to fit. This technique is said to improve the durability of the glass. The screen protector boasts a hardness of 9H- which I have found does not equate to the Mohs hardness scale, but rather something like a pencil hardness test. We have not tested out the glass by trying to scratch it, but it’s more than likely to be pretty tough. The most important part is that it protects the screen underneath. The Patchwork page guarantees the scratch resistant part of it, so at worst, you could get a new screen protector out of it. There is an oleophobic coating that will aid in preventing fingerprints and smudges. It is also very smooth and will give you a screen that responds beautifully to touch. On top of it all is an easy application, which makes the $24.95 suggested retail price a good deal. I saw a $15.95 pricetag on the WalMart website, though. Next up, we have the Level ITG series case. 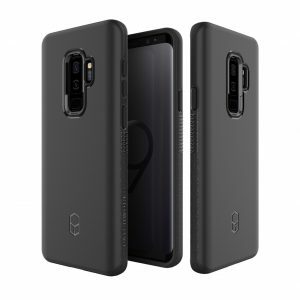 This one comes in black or red, and looks simple and basic, but it really does have what it takes to protect your phone- as proven in the Military grade drop standard 810G. The case wraps around the front and sits 1 mm above a glass screen protector to provide even more screen protection. There are good sized cutouts for ports so everything is easily accessible, and the design around the flash will prevent the flash reflections.The buttons will be covered, but are tactile and easily-manipulated at the same time. The dual layer TPU and polycarbonate case has air pockets to help cushion from any drops that might happen. It will be hard to drop the case with it’s textured grip on the side and anti-slip surface. As durable as the case is, it is very thin and works well with wireless charging. It retails for $24.95. Last, but not least, we have the Monogrip case. This case is similar to the Level ITG in protection, accessibility, and many of the things we mentioned above. This one has a aluminum finish, but looks like a leather grain, and feels like it as well. A triple layer of aluminum, TPU and polycarbonate give protection to the phone inside, and also has the ribs on the side to give the user something to grip. The lifetime warranty protected case comes in black or taupe, and is also listed at $24.95. It’s hard to go wrong with any of these cases, and we appreciate Patchworks sending us these products for free in exchange for our fair and unbiased review.